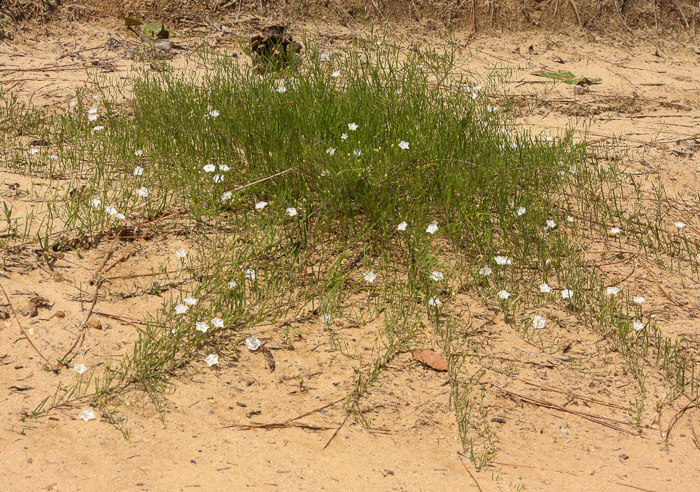 Leaves are linear and oriented vertically, to 5.5cm long x 3mm wide, per Wildflowers of the Sandhills Region. 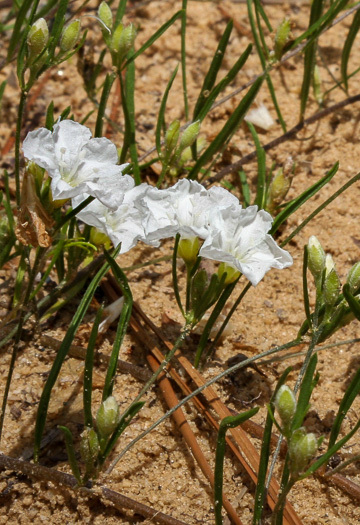 One to three flowers grow on erect slender stalks from leaf axils, per Wildflowers of the Sandhills Region. 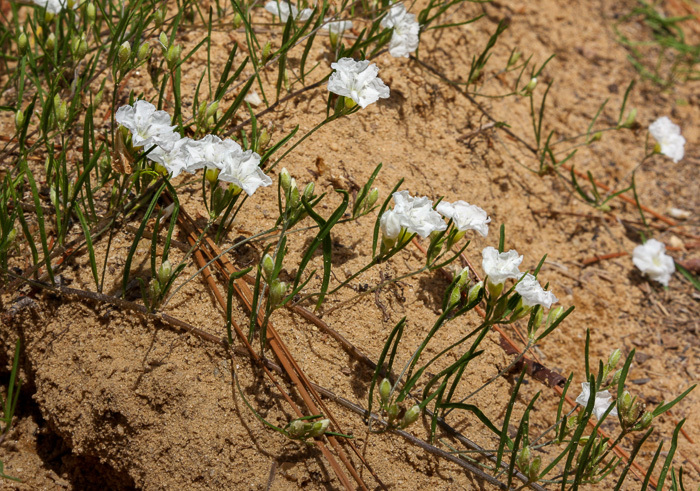 Long skinny stems radiate like a huge pinwheel - nothing looks quite like it, per Wildflowers of the Sandhills Region.